There are currently 7,655 users on this website. Hi everyone, my name is Evan. I Bought some rolls from bank and I I think I stumbled upon 1982 small ? 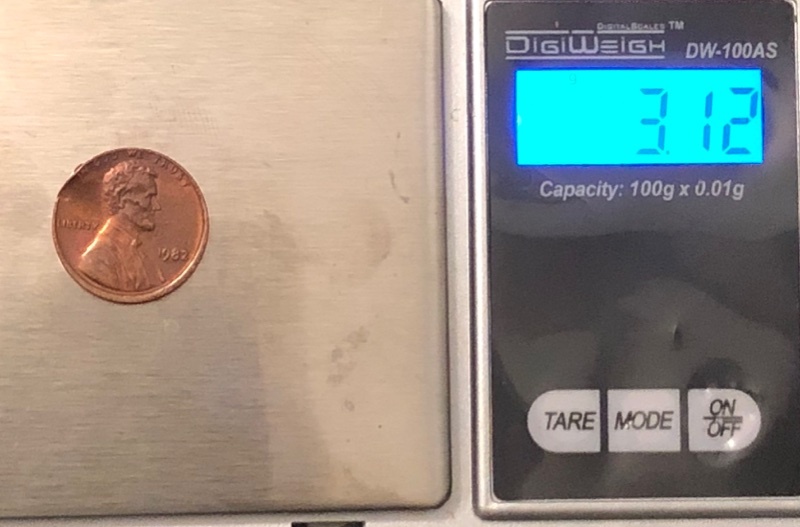 Date penny that weighs 3.2g. But it appears damaged? I wonder how common these are and are they worth anything? I'd gladly appreciate everyone's feedback. I apologize for any grammatical mistakes I've made as I'm typing on my phone and I'm esl. 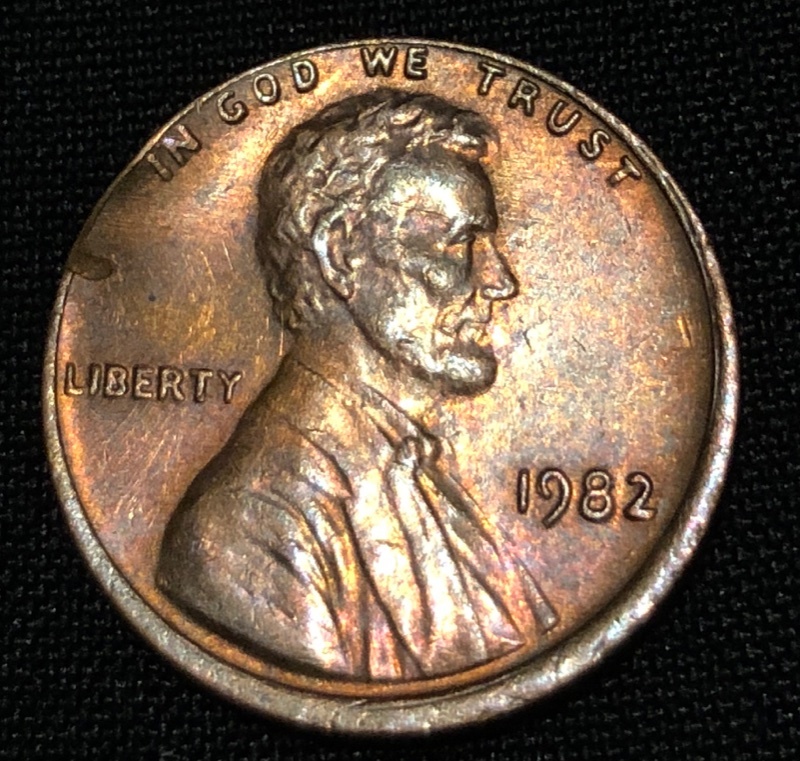 All 1982 types are common, except for a small 1982 D copper. D as in Denver. 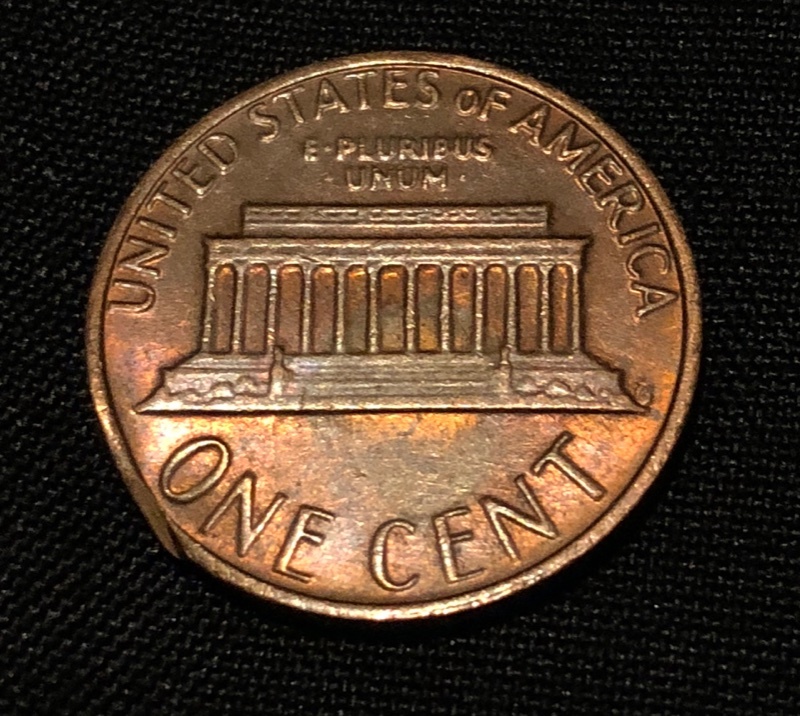 It is IMO an error coin (as opposed to a variety) i.e. 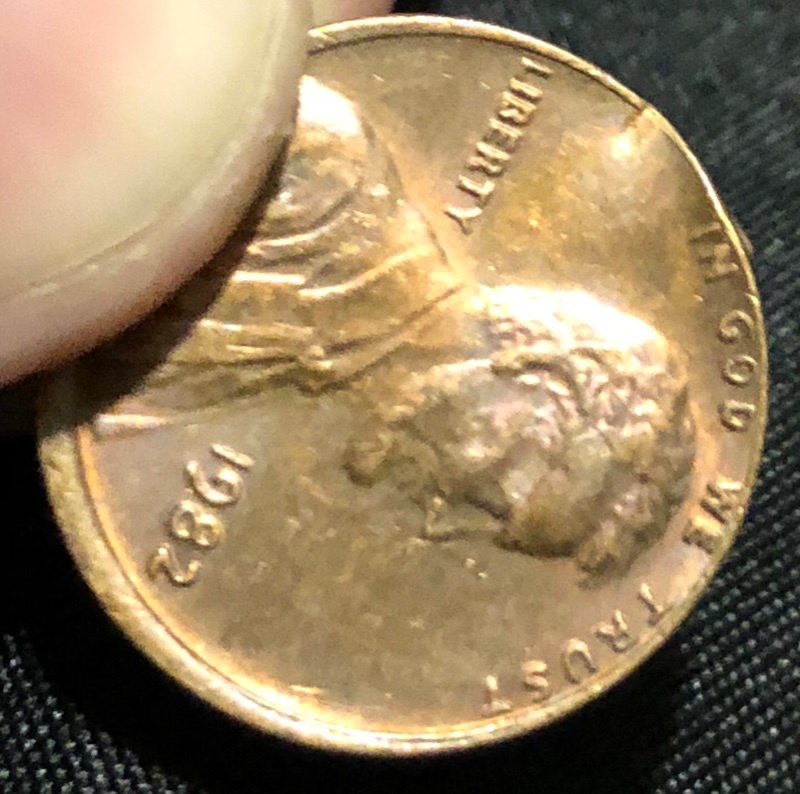 struck on an incorrect planchet, which coincidentally is a cent planchet. Just like a 1943 copper and 1944 steel. Large Date, nice mid-aligned die, but nothing that special. 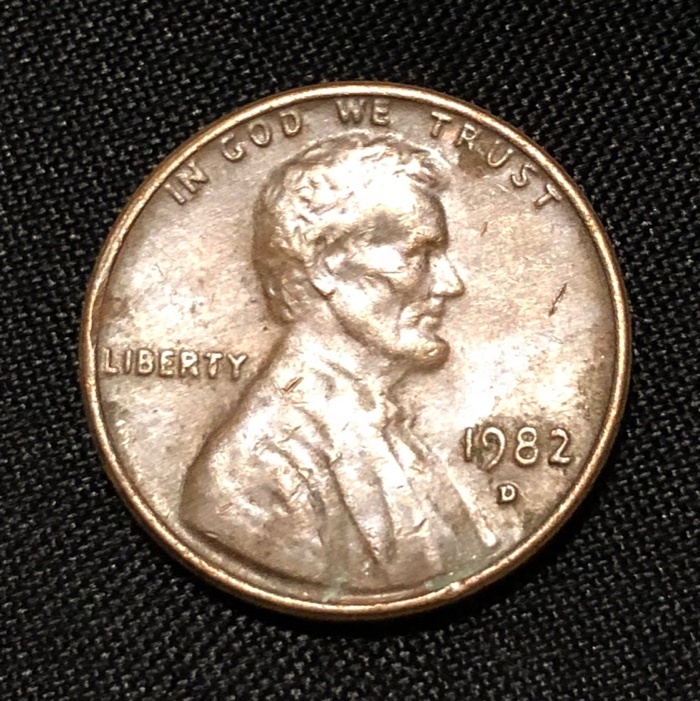 That's also a 1982D Copper Large Date. there on many of the commonly asked questions. This is a simple lesson, easily learned. @rookie, with regard to your first coin, the frog pointed out that it was struck with a slightly mis-aligned die. You can see that the rim is a little thicker on one side. As you are just starting out, you might consider saving that coin as it is a nice example of this phenomenon. The misalignment was not severe, so there is probably no numismatic premium, but it is a nice starter coin to have and compare against future finds. It is a nice example of a misaligned die, but I would only hold it (if you are wanting a example) until you find one that is not damaged. They aren't that hard to find.